Police in Tulsa, Oklahoma, had an easy time tracking down armed robbery suspect Paul Wayne Terry. TULSA, Okla. (WLS) -- Police in Tulsa, Oklahoma, had an easy time tracking down an armed robbery suspect. 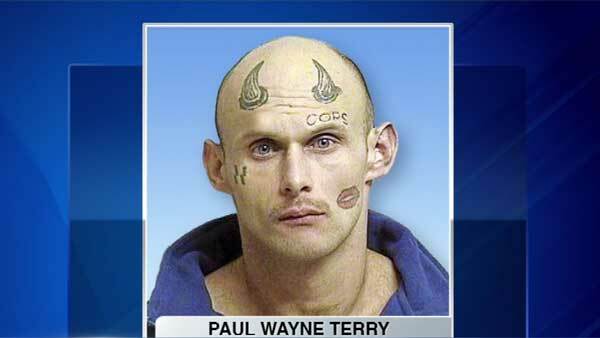 Paul Wayne Terry is accused of forcing his way into a man's apartment and robbing him at knifepoint. The victim told police about the man's very distinct tattoos, which include a pair of devil horns, a pair of lips and an obscenity directed at police over his eyebrows.